The usual snowman is a pathetic piece of ice that is not worthy of our eyes. They’re like bad art akin to black velvet paintings. As an artist I am constantly offended by the sub-par snowmen that plague the streets. The above photo is an example of a worthy snow sculpture. It does what all good art should do; mesmerize and inspire. 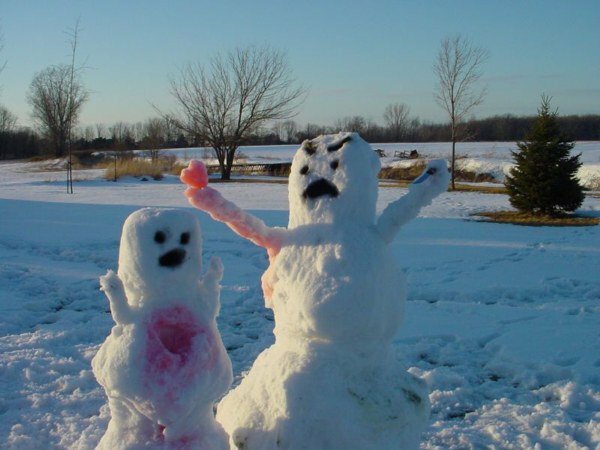 Finally some real artists have taken up the medium of snow and offer something that would make Calvin and Hobbes proud.